Yesterday I had fun with fermentation. I started a batch of red pepper and garlic hot sauce. I used the formula in Sandor Katz’s book “The Art of Fermentation”. Two percent salt by weight. Be sure to wear gloves while you do this! Remove the stems and seeds from the peppers (you can leave some seeds in if you want it a bit hotter). Peel the garlic. Chop ingredients, or use a food processor to coarsely chop the ingredients. Layer the chopped peppers and garlic in a mason jar, crock or other container. As you layer the vegetables and salt, knead and squeeze the vegetables to release the juice. Put a weighted object on top of the peppers. The purpose is to keep the peppers below the liquid. 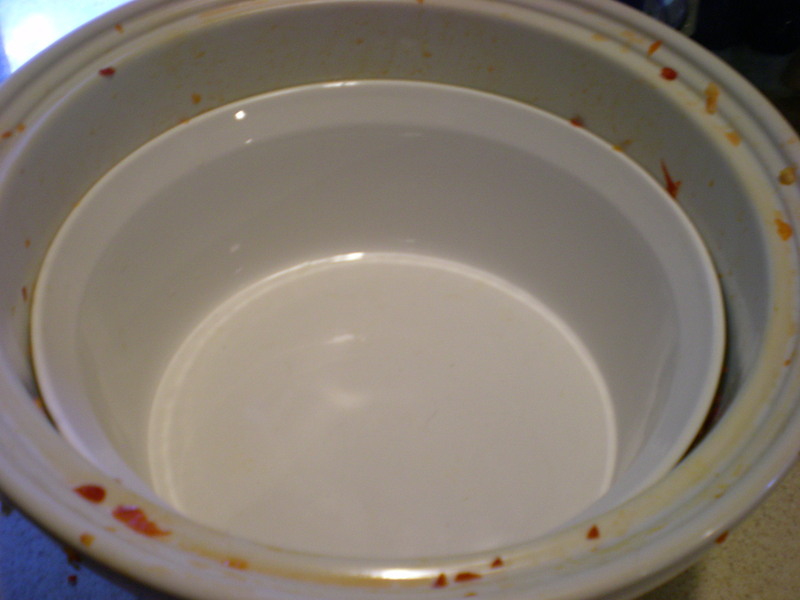 I used a serving dish which fit exactly into my crock. TMOTH’s host family in Denmark used an ash tray to hold down their fermenting herring. 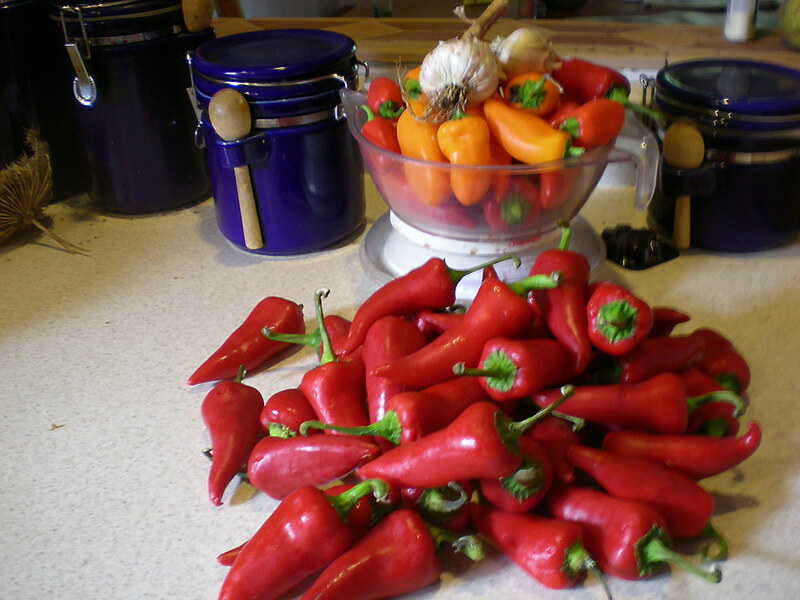 The peppers and garlic need to ferment for a month. We’ll visit them periodically so you can see the process. 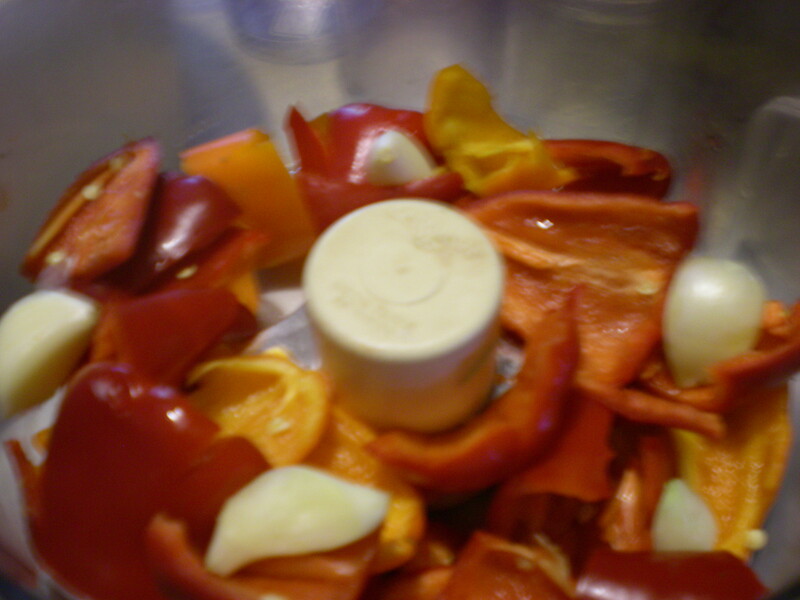 After a month, the mixture will be pureed and used as a delicious hot sauce. 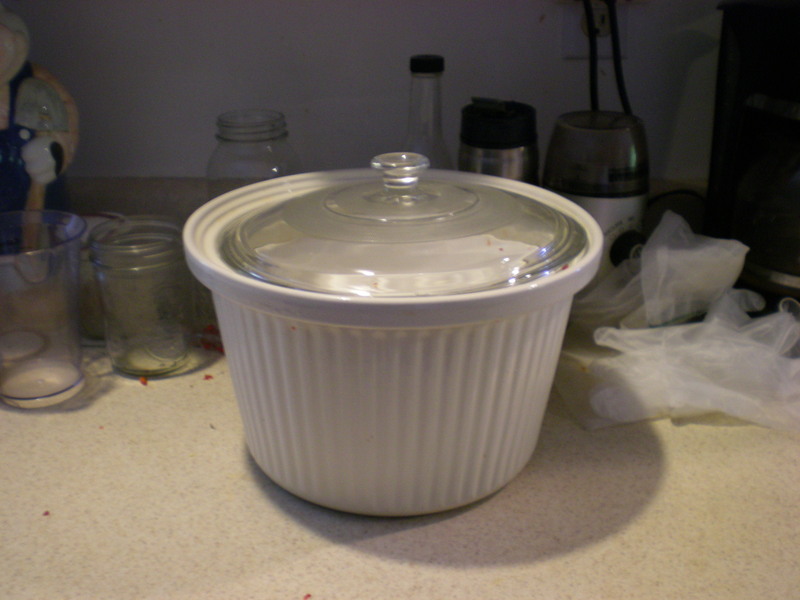 This entry was posted in Food Preservation, Recipes, Suburban Homestead and tagged Cooking, Fun with Fermentation, Locavore, Recipe, sustainable food. Bookmark the permalink.